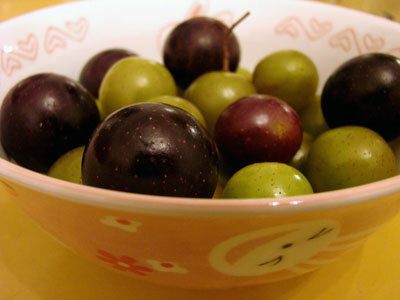 The scuppernong is a large variety of muscadine (Vitis rotundifolia). This grape species has the distinction of being the first grape to ever be actively cultivated in the United States. It was declared the state fruit of North Carolina in 2001 The grape was named after the Scuppernong River of North Carolina, where it was first discovered. The word Scuppernong is from the Algonquian Indian word ascopo which means “sweet bay tree.” The fruit grows where temperatures seldom fall below 10 Fahrenheit. Scuppernong is usually a green or bronze color and is similar in appearance and texture to a white grape, but rounder and about 50% larger. It was first known as the ‘big white grape. 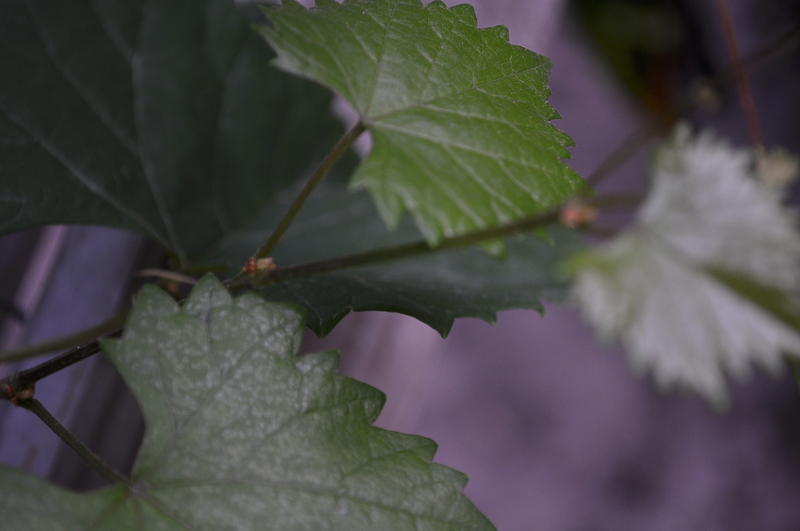 The skin is very thick and tart and several small green seeds are found in each grape. The pulp is viscous and sweet and the seeds are bitter – the most desirable part of the scuppernong is the sweet juice. The vine is an exceptionally strong grower, and its wood is the envy of the grape family. Muscadines have a high tolerance to diseases and pests. There are no insect enemies, or fungus diseases that attack the fruit. Although black rot sometimes attacks the leaves in the spring, but never enough to affect the growth of the vines, or to cause any apparent detriment to a vine when given proper care. The blooms open during the first part of June, and the grapes ripen during September. As with all grapes, muscadines need full sun with good airflow and proper drainage, As with all grapes, muscadines need full sun with good airflow and proper drainage. This grapevine can grow from 60 to 100 feet and should be planted 8 to 11 feet apart. It can be rooted so you can have more grapevines. In rooting Scuppermong grape vines, the first step is to look over the grapevine in mid-summer and find a cane that is in season. Bend the cane to the ground and make sure that it is long enough to lie on the ground leaving the tip free. Then score the stem in four or five places with a sharp knife where the brance touches the ground. Mound soil over the cane, leaving the tip uncovered. Lay a brick or push down two u-shaped wires to hold the cane against the ground. You have to keep the ground moist so that the cane will produce roots. The sections where you scored the cane will produce roots. Severe the cane from the parent in the fall when the grapes become dormant and roots have developed. Last thing you will do is to dig up the rooted grape and plant it in your desired location. The properly care of Scuppernong grapes you must fertilize them regularly. Apply half a pound of 10-10-10 after planting. Spread the fertilizer on either side of the vines a foot from the bases. Apply another light sprinkling in late May or early June. In the second year, apply double the amount. Each year thereafter, apply 2 pounds of fertilizer in March and half a pound in June. The scuppernong or muscadine grapevine (Vitis rotundifolia) is a fast-growing deciduous vine that can produce grapes for more than 50 years. It is used for fruit, wine and shade. Picture taken May 13, 2011. This picture show lots of new growth. 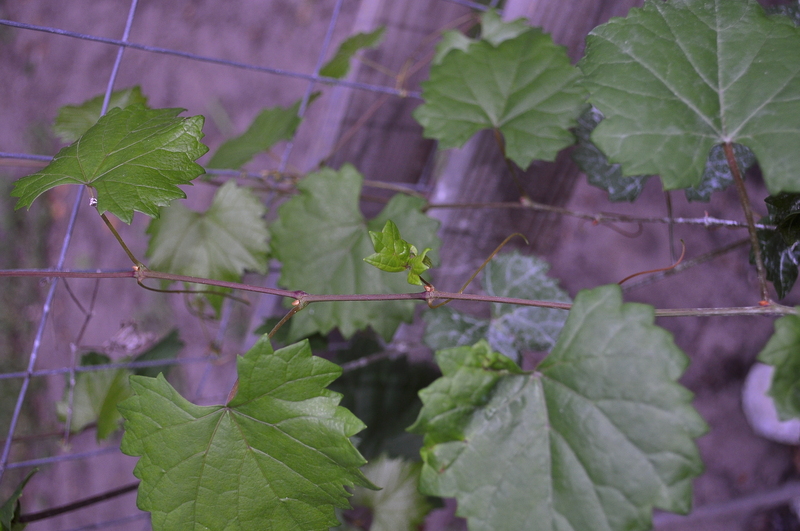 I pruned this grapevine back February. Years in the past shows Muscadine shows this same grapevine along with 2 others that I didn’t know were all planted together. All 3 growing together making it rootbound. It was very dry and wasn’t producing grapes like it should have. All the fertilizing that I had done in the past was not helping. Fertilizer cold never reach the roots. 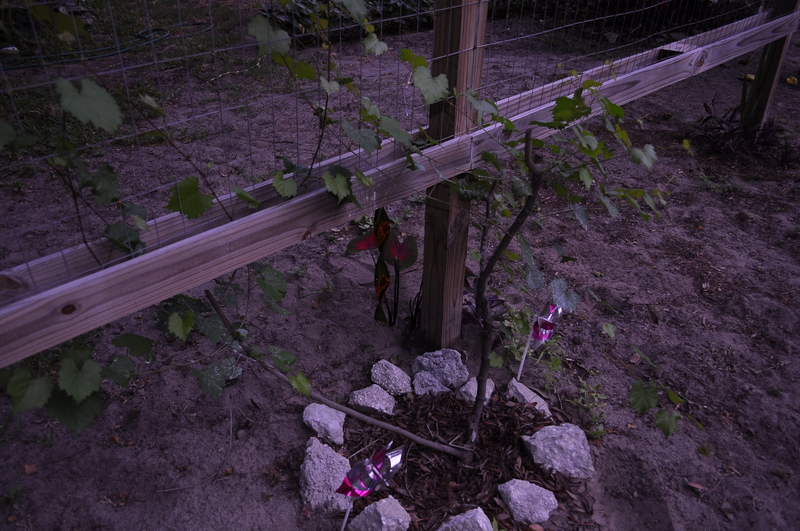 This year after cutting it all the way back I now have 2 grapevines. I am hoping that by seperating them that they will be more fruitful. I’ve fertilized it with 10-10-10. I have been watering regularly every other day. Now only time will tell. So far it is looking very healthy and seems to be growing very fast. Click here to see grapevine MUSCADINE Grapevine 2009. This page I had posted when it was growing but badly rootbound.